Some numbers around light rail on Capitol Hill are clear. According to Sound Transit’s latest service report, April light rail boardings are up nearly 80% compared to April 2015 thanks to the opening of UW Station and Capitol Hill Station. If you’re looking for signs of a likely Capitol Hill effect, while weekday ridership is up 78%, and Sunday has climbed around 64%, Saturday boardings have leapt 108%. 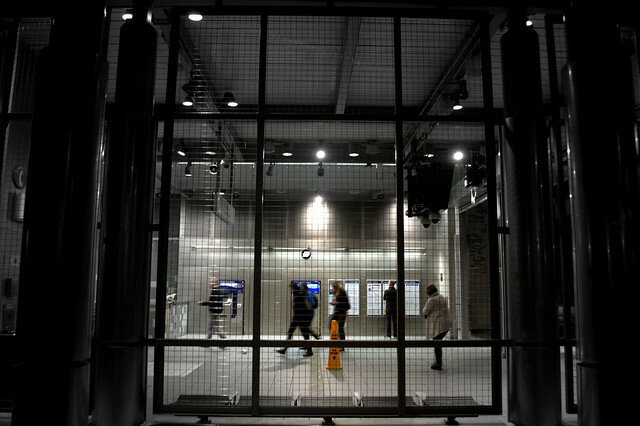 Since the Capitol Hill light rail station opened in late March, ridership has exceeded expectations. Adding to the hype have been reported anecdotes from Capitol Hill businesses who said they had seen a spike in customer traffic due to the new station. Ridership is booming. Is it possible to empirically measure light rail-related economic activity on Capitol Hill? Both the Capitol Hill Chamber of Commerce and the city’s Office of Economic Development — the two entities that would have the best sense of how to approach such a question — say that while it is possible, it is far too early to tell and the methods of measuring are limited. There are also other variables to consider, such as general population growth on the Hill. “While we’re optimistic Link Light Rail will have a positive impact on Capitol Hill’s economy, at this point, it is too soon to draw a conclusion until we have data to evaluate,” OED’s Economic Intelligence Advisor, John Crawford-Gallagher, tells CHS. OED agrees. “The best way to conduct a study like this is to go out and survey individual businesses and ask them if they are willing to share financial data pre-and post-light rail and to see if there is a significant increase that is unlikely to be attributed to other factors like population growth,” an OED spokesperson said in an email. The CHCC is looking for businesses on Capitol Hill to share gross revenue numbers from the months of April and May from 2015 and 2016 to measure the impact of light rail opening. You can contact Sierra Hansen at 206-328-6646 or sierra@caphillchamber.org if you are interested. Another potential light-rail related economic activity evaluation method is slogging through gross revenue data from licensed local businesses that the city office of Finance and Administration (FAS) collects in order to levy the city’s business and occupation tax (B&O). But it’s a problematic method. One is that FAS compiles and reports this data to OED on the ZIP-code level (for business privacy purposes) and the geographic boundaries of ZIP codes are likely too broad for measuring the impact of one station. Capitol Hill is divided into three ZIP codes, each encompassing areas far from Broadway like Madison valley and the Central District. Another is the resources needed to do that kind of data trawl. OED says it only recently hired a economic intelligence advisor and isn’t devoting any resources to this specific study and, ideally, they would have started collecting data before the station’s opening. Sound Transit spokesperson Bruce Gray said that the agency doesn’t collect any economic data of its own. Another source of intel might be the development process around the station. Portland-based developer Gerding Edlen is pulling together a potential tenant list that will likely include a major grocer and a childcare provider. Hansen speculated that as time goes on, businesses farther out from the station might start experiencing similar increases in traffic and sales. “The interesting thing is when you look at what transit does, transit brings people to a dedicated area and they move out from there, whereas folks who drive tend to just go to their one original destination,” she said. This entry was posted in News, etc. and tagged broadway, capitol hill station, light rail, public transit by Josh Kelety. Bookmark the permalink. It will be interesting to see if/how far ridership falls when UW students aren’t as much factor over the summer. I’m sure the numbers will go down but that is why they do a year-over-year comparison to account for things like school or seasonality. I’m glad that rail ridership is on a good path but I’d like to see how it has impacted bus ridership over the same period. Has it increased transit riders or just shifted them from the bus to rail? Of course there’s been a shift from bus to rail, but that’s a good thing — those folks are getting a much more reliable and faster ride than they had before. There’s definitely been a shift from bus to rail, and that was both intended and enforced thanks to route revisions that shifted a bunch of the 70s bus riders onto Link. Fewer buses running on that downtown-UW axis means more riders for Link. That said, they’re getting a bunch of new riders also — including me. Prior to this year I took Link exactly one round trip since it opened, but I’ve ridden Link a ton since April — whether it’s to the airport, downtown for dinner, Mariners games, or just out to Columbia City for a few hours, Link has replaced a lot of car and taxi trips for me, because I hardly ever take the bus. I’ve definitely taken more Link trips in the past two months than I’ve taken bus trips in the past two years. Interestingly, they increased the frequency of busses on the 70 route, and made more of then the articulated busses – and they seem about as full as they did before. Yet a 100% chance of RUINING CAPITOL HILL’S CHARACTER! yes! let’s wall off capitol hill from everyone but those select few we deem worthy of being here. brick up the light rail, put up a wall and a gate and check people’s predilections before we let them in. otherwise, the capitol hill that some people knew from a few years back will be replaced by another capitol hill (that people will lament the loss of in 10-20 years). Is it just me or has the line at Tacos Chukis been longer ever since light rail service started? The line at Tacos Chukis ebbs and flows as trains arrive. You are actually incentivized to make sure you get off the train first if you are going there. It’s pretty intense.